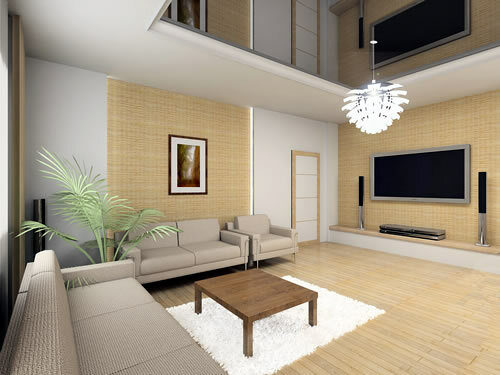 Bamboo paneling is a solid and durable type of construction material, often used for flooring, although it can be used for virtually any surface. This type of paneling is created by joining a series of thin bamboo slats with mesh or laminating them together. It originates from Asia but has become a popular way to put an exotic spin on a house recently. Floors are usually simple in design and intended to stand the test of time. The switch to bamboo also appeals to those conscious of environmental issues. Let’s look at the pros and cons of having panels made of bamboo in your home. First of all, the strips that will make up the panels are cut from a stalk of bamboo. These individual strips are typically a quarter to half an inch wide. The strips are then either woven together with mesh or laminated into panels. These laminated panels can then be laminated again to each other to create multiple-ply panels. One major benefit of panels made of bamboo is the structural superiority of bamboo products. Bamboo is a highly flexible material but is also extremely sturdy due to the fact that the strands in the grain grow completely straight. Wooden trees don’t grow as straight as bamboo and this is why it’s relatively solid. It also offers a more modern, exotic look to a new home. There’s a touch of something foreign in bamboo construction. It can fit in well with other exotic ornamentation. It is also fairly easy to install and relatively cheap in comparison to many wood types so it’s ideal for temporary paneling when you are in the midst of renovations. The biggest upside to bamboo construction is its relatively small impact on the environment. Bamboo matures four to five times faster than hardwood, meaning more bamboo can be grown faster and replaced within a shorter period of time. Bamboo is usually harvested 3-4 years after planting. With growing concerns over the effects of global warming, building with bamboo is seen by many as a responsible step to ensure a more sustainable future. On top of the benefits to the environment, panels made from bamboo also give your home more of a natural aesthetic. The structure of bamboo does have one large downside. Because the threads in the grain are all perfectly aligned, it means that in the event that the bamboo does crack, the crack may run along the whole length of the panel. However, this isn’t a major concern - the panels are very unlikely to crack. But they are harder to repair in the event of a crack. Using treated bamboo will also help to ensure it lasts longer, although you may have to weigh this up against having a more natural look. As you can see, bamboo paneling is suitable for modern interior design as well as what can be considered more traditional and natural interiors and decorating. The beauty of bamboo also can't fail to be an investment. It's always a good idea to use the best products when you decorate your home if your budget permits. Better quality means longevity and if you do get to a point when you want to sell your property, or if you are developing a property specifically for selling, these panels will make the interior look just that bit different and may be the selling point you are looking for.